After the rigours of today’s cross-country, chiropractor Leigh Miller, who is keeping the New Zealand horses in tip top shape down at the stables, will be working extremely hard behind the scenes. Q How many years have you worked at Badminton? A I’m not sure I can remember exactly how many years I’ve been here, but it’s definitely quite a few! Q How many horses are you looking after this year? A I am primarily here to look after the New Zealand horses – there are 11 of them. There are also several of my regular clients here, so I fit them in where I can. Q What is a typical day at Badminton like for you? A I am always waiting for someone to ask for help. It’s really interesting because riders all want different things. Most like their horses checked over before dressage and some prefer theirs to be done after. I am doing minimal work really – just checking them over to make sure everything is ok and doing trigger point work on muscles. 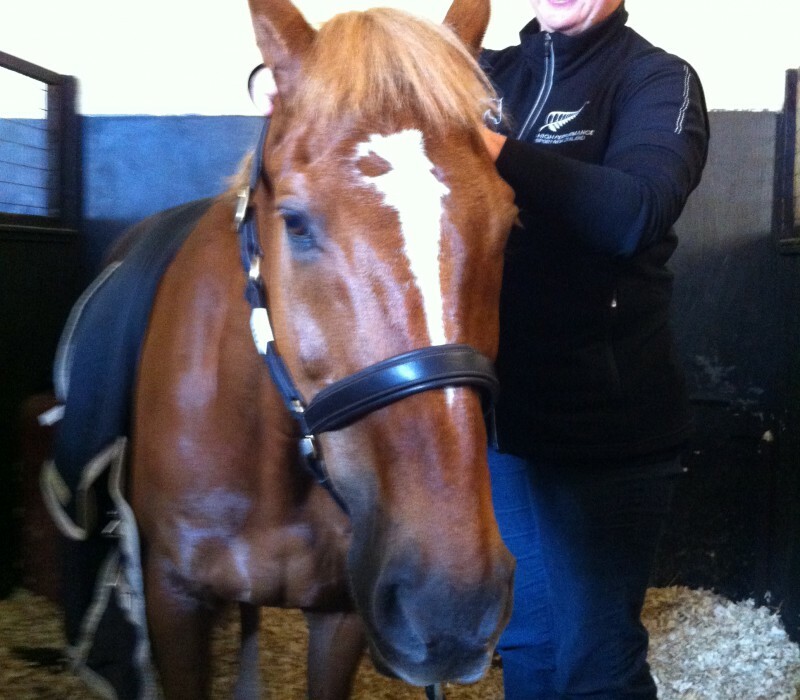 These horses are unbelievably fit and therefore take the treatment really well, so don’t need time off afterwards. Q And is cross-country day different? A I’m certainly busy. I give the horses a full treatment after the cross-country. I usually wait for about two hours to give the muscles a chance to calm down and for any knocks and bumps to show up. This works well as I can then see what I am working with.